Hybrid trucks – yes or no? Lots of people have opinions about it. For some Clermont Toyota drivers, it’s a definite no – they’re so used to driving gasoline-powered trucks that offer a ton of horsepower and torque, as well as superior towing and off-roading capabilities. But for others, it’s a yes. They want to see Toyota continue to make the world greener, and hybrid trucks are a great way to cut down on the use of natural resources as well as reduce emissions that form smog and pollution in the air. Either way, hybrid Toyota trucks are coming.. and we can’t wait to see them arrive at Toyota of Clermont. Would you drive a hybrid truck? And even a brand-new 2020 Toyota Corolla Hybrid. Plus, Toyota is only planning to expand the lineup in the future, introducing green options for nearly every model. And that’s where hybrid trucks come in. Toyota is planning on introducing them at some point, although no definite plans have been announced. But here’s the sticky part and probably the reason why no formal announcements have come to light. Hybrid cars are celebrated for their fuel efficiency and their green, clean performance. What they’re NOT known for are powerful performance, towing, and off-roading… three qualities that are pretty much expected when it comes to trucks. That’s where the research and testing comes in. However, we’ve already seen Toyota making leaps and bounds in this arena. For example, the latest model of the Prius will offer electric all-wheel drive, giving it better traction and handling. And the newest Toyota RAV4 Hybrid actually offers a hybrid engine that gets more horsepower than its gasoline counterpart (219 hp vs 209 hp). Obviously, advancements are happening to meet both sets of needs and further develop the possibility of a powerful, off-road-ready hybrid truck. For now, it looks like green versions of the Toyota Tacoma and Toyota Tundra will be available in the future, giving you even more options when it comes to doing your part for the planet. 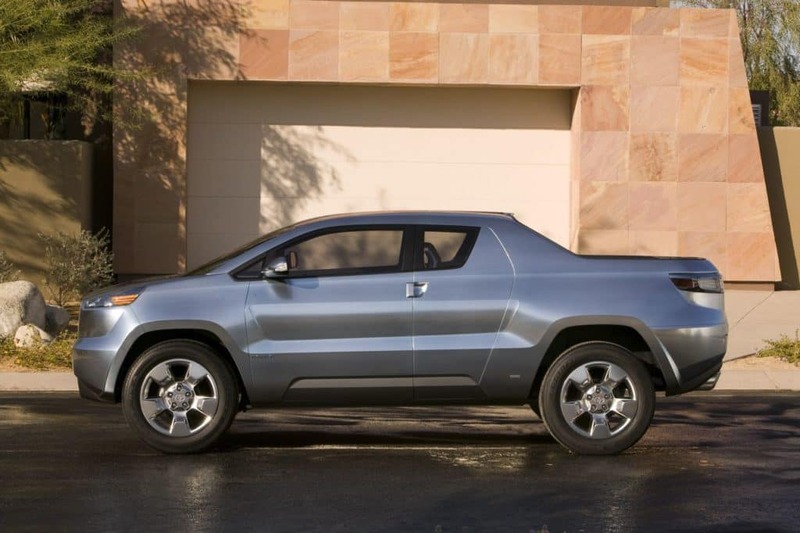 Toyota did introduce a concept truck back in 2008 – the A-BAT – but it was merely that… a concept. Nothing ever came out of it despite its ingenuity, its hybrid engine, and its cool extendable bed. Would YOU drive a hybrid truck? Stay tuned by following Toyota of Clermont on social media, or give us a call and come down to check out any of our other green cars and SUVs today. We’re open seven days a week at (352) 404-7000! 0 comment(s) so far on What’s your take on hybrid trucks?